So you have decided to buy a Cyprus New Build property . You have found your dream site and are tempted by an Off Plan villa or apartment but worried whether you should trust the developer. So – can you trust Off Plan projects in North Cyprus? In the past there has been a certain nervousness about buying an “off plan” new property in North Cyprus as opposed to a key ready new build home. 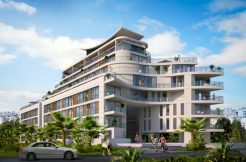 Buyers have felt that by reserving an off plan or under construction property, they were having to place too much trust in the developer to complete the property – and the project. However, the exciting news is that there is now a new generation of developers who are pioneering off plan projects in frontline locations using extremely high quality, eco-friendly materials, who are now offering a guaranteed title deed with your first payment (please see our article on this subject HERE) which totally removes any risk from buying off plan. The crucial point is WHICH developer to trust. We take the worry out of this decision with our NCI Developer Seal of Approval: giving you, the customer, the benefits of an Off Plan purchase without the possible disadvantages. Investment value – rising prices! Many experienced overseas property investors actively choose to buy off plan. The reason is that if you choose wisely, you only need to put down a small deposit – and by the time your property is built, the property has risen in value. Generally your build time should not be more than 18 months – and can be as little as 9 months. With some North Cyprus sites rising by over 5% p.a. in value – you can make money this way! 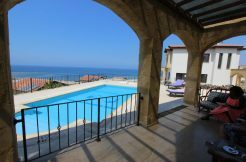 Choice of location/plot – If you are buying a North Cyprus villa for example, you can visit the site and actually choose your ideal location relative to the site facilities, view etc. With apartments too – you may wish to choose which block the apartment should be in – and also get the ideal floor, view and position. Opportunity to custom design your home – you can put your personal stamp on any new build more than a resale, but with off plan new build you can take your involvement to new heights as some of the more high-end North Cyprus development companies actually have a custom design service where you can sit with an architect and actually design your own home! Once built you can have a huge input into internal fixtures and fittings, tile/wall/kitchen colours and design etc. This sounds great! Are there any downsides to off plan in Northern Cyprus? The main downside of buying off plan in the TRNC is the time you have to wait to take delivery of your property. If you are not prepared to wait up to 18 months, it is best to buy a Key Ready New Build or Resale. However, some North Cyprus developers do offer FREE all-year or occasional holiday use of a finished property whilst you have yours built – thus giving you “the best of both worlds” – a finished property to stay in whilst you design your dream home in the TRNC! We at NCI only sell Off Plan or Under Construction properties from developers with a proven track record. How do we evaluate and award our NCI Developer Seal of Approval? Credit Worthiness of Developer. We check the financial standing of each developer we take on. Review of past building projects. We check the quality of the developer’s work and the company’s After-Sales Service. We visit previous sites and completed properties they have built and even interview their past customers to review their satisfaction with the company. Accuracy of contract. We monitor all communications between yourself and the developer to ensure that everything the company promises to supply you with is recorded on a detailed list and attached to the contract as a formal annex – as well as the architectural and structural drawings for your home, including the land, showing all the dimensions of property and land. For more details about our NCI Developer Seal of Approval , please call our team on +44 207 112 8060. Once you have made an off plan purchase with NCI, we ensure you are protected and kept informed during the build period of your chosen Off Plan North Cyprus property. NCI Construction Progress Reports – If you are unable to be personally in Cyprus while your new property is being built, you can appoint us to watch over its construction, update you on progress reports and represent your interests with your developer & lawyer. It is important to be sure that each stage of the construction progress has been adhered to by the developer before you pay for this particular stage. Rather than just relying on developer photographs, we will actually visit the site for you to take our own photographs and make sure all is progressing well. Pre-Final Payment Check – We want to make sure that your North Cyprus property is finished before you make the final payment. A finished property is one that is complete in every detail (as defined in your Contract of Sale. We will visit the site for you and check that all is in order so that you can make your final payment confident that you have a finished home! For more details about our NCI Off Plan Customer Care Plan , please call our team on +44 207 112 8060.